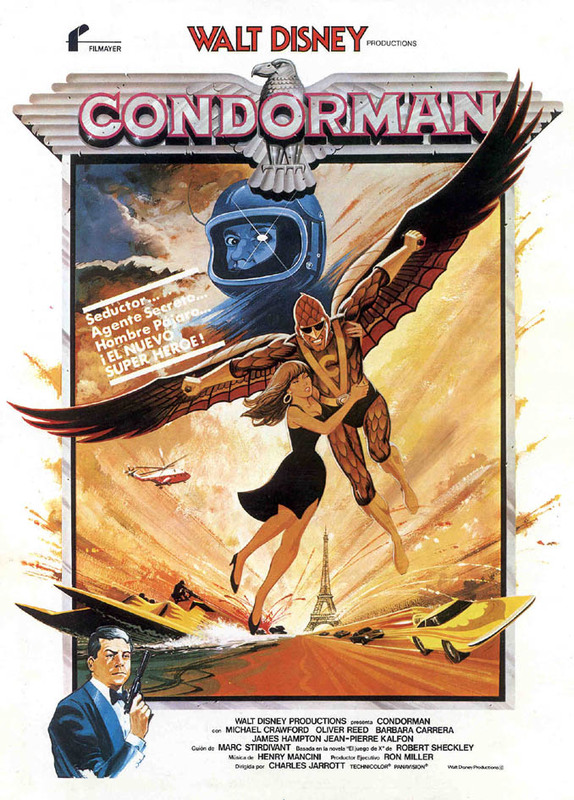 With a name like Condorman, you’d think it would be a no brainer for a superhero movie, and yet this movie actually turned out much more like a spy movie slash comedy. 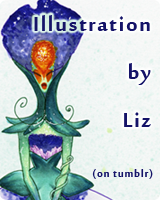 You may ask why I’m keeping this on my main list and not tagging it with my “almost super” category, at least if you’re someone who follows this site on a regular basis. I decided to let it stay for a few reasons. One is that it has a strong foundation in comic books, the “spy” in question is actually a comic book writer and artist, and second is that his spy persona feels much closer to a comic book superhero than a James Bond or Inspector Clouseau spy. But that’s all really beside the point, it’s another movie that I had never heard of, an 80’s movie that’s been all but forgotten even though it was technically a Disney movie, or at least a Disney production with a little animation thrown in for the opening credits. It’s a fun little attempt at being a Pink Panther movie with a lot more gadgets and costumes thrown in. I had a lot of fun while watching it, even though at times it went a little too far on the goofy side of comedy. And on top of the goofball comedy, there was actually quite a bit of excitement with some fun car chases, boat chases, and explosions. Before I get too far into it, I should mention a little of what it’s about since I imagine few people have actually heard of this movie. Woody is a comic book writer and artist who takes his work a little too seriously, noted by his testing of his hero’s Condorman flying suit off of the Eiffel tower. He’s also friends with Harry who is basically a desk clerk with the CIA. As luck would have it, Harry gets a little extra responsibility by having to recruit a civilian to make an incognito document transfer in Istanbul. Woody ends up being that lucky civilian and talks up his beautiful Russian contact, claiming to be an international spy named Condorman. Things get heated and Woody bumbles his way through the enemy spies allowing Natalia to escape. When she decides that she wants to defect, she will only trust the great spy Condorman to get her out of the country. And I think you can guess what happens from there for the most part. As the main character, Woody was a great choice. He has kind of an odd voice, but I thought that added to the charm of the character. 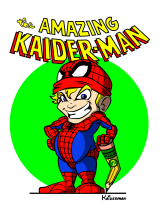 He’s very fast talking and quick thinking and uses his newfound situation to “test” a lot of different ideas for his comic book. I thought the Inspector Clouseau moments where he would accidentally stumble and fall and manage to unwittingly defeat the enemies who are after him were fun and pretty well done even though they tend to go away towards the second half of the movie, and they always work out in a lucky way for him. As for all the Condorman gadgets and gizmos, they also tend to be quite fun to watch as the level of ridiculousness seems to constantly build with each new vehicle or stunt, and amazingly none of the comedy comes from malfunctioning gadgets. One of the moments I did find to be a little too far on the unbelievability scale was when he was found out as being a comic book author because the inn they are staying at in Yugoslavia, I believe or at least some Eastern European country, is surrounded by a mass of young children who are all reading his comic book and recognize Natalia as one of the characters in that book. Not only that, but the main villain who is chasing them also somehow realizes that he is a comic book author because all of the events that they have gone through have already been published as issues of comic books. That must be a pretty widespread and quickly published comic for it to come out that quickly. I found the relationship between Woody and Natalia to be a little on the far fetched side, but considering the type of movie that it is, I was willing to give it some leeway. It helped that Natalia really is quite a beautiful woman and they have some nice chemistry, which isn’t surprising since she did at one point play a Bond femme fatale. It’s not a deeply smoldering relationship, but the two have a nice rapport with each other. I was never really quite sure what sort of position Natalia had with the KGB however, she never showed any real fighting skills, instead she mostly played the damsel in distress, following Woody’s lead wherever he went. It was also never really clear if she had some important information that she had gathered through her feminine wiles along the lines of a Black Widow. It was a little disappointing that she really was never much more than eye candy. The villains were another sort of weak point in the movie. There is Natalia’s boyfriend, or technically ex-boyfriend who also works for the KGB or whatever Russian organization they mention once probably at the beginning of the movie somewhere. But he also hires Morovich, who is one of the best Russian spies and also has a silver eye, or maybe chrome, it generally never looks very good on film and he often just covers it up with an eyepatch anyway. They both convey enough menace, but they just always seem so ineffectual as villains when they are so easily thwarted time and time again by Woody who is merely playing as Condorman. I didn’t realize it until after looking it up on IMDB afterwards, but Natalia’s boyfriend was played by Oliver Reed, who I thought was amazing in his last role as Proximo in Gladiator. This is the only shot where the eye looks good. I think this is really a nice little gem of a spy comedy. It doesn’t rank up there alongside some of the best classics, but it did have me laughing quite a bit along with it. I think one of the biggest problems with the movie is the pacing, there are several times where there is just too much time in between comedy gags, and while the action is fairly decent, it’s never thrilling enough without the added comedy to keep my interest during the longer stretches. But if you find it online, or catch it in a bargain bin somewhere it’s absolutely worth a look for curiosity’s sake. I know I had quite a good time. Until next time, this has been Bubbawheat for Flights, Tights, and Movie Nights. Posted on May 20, 2013, in 80's movies and tagged comedy, movies, review, spy. Bookmark the permalink. 10 Comments. When I was a kid I read the novelization before I saw the movie. It was one of my favorite books and I’ve been scared to watch the movie again. Thanks for the flashback and I’ll watch it. It’s interesting to me that there are people out there that actually did see this movie. It seemed like one of those little obscure movies that faded away. I have to admit, I haven’t heard of this one. Sounds like it might be good for some cheesy fun, though. Absolutely, it was a pleasant surprise. Not one of the best movies in the world, but very much worth a watch. Oh wow, Condorman. I haven’t seen it since I was a kid. The lead actor, Michael Crawford, was a huge (and I mean HUGE) star in the UK back in the nineteen seventies. Largely because of sitcom Some Mothers Do ‘Ave ‘Em, in which he played accident prone Frank Spencer, a complete failure who forever remains an optimist. To be honest, the reruns probably kept his fame pretty high during the eighties as well. The show was never off the TV. The fact he’s British might go some way to explaining why you thought he had a funny voice. I think he’s trying to an American accent in Condorman, but it doesn’t always work. That’s interesting to hear, when I was reading up on the film it seemed like a more UK centric movie, which is weird since it was made (or maybe just picked up by) Disney. The British-doing-American-accent might be part of it, I just thought his voice was rather high pitched and nasally, which works when you’re going for humor, but doesn’t work as well when you’re going for heroics. Oh wow Condorman. I always rather liked this movie when I was a kid. Not a favorite mind you like the original Clash of the Titans but it’d almost always get me to stop flipping the channels when it would show up on Disney. That puts it right at my level of enjoyment too. It’s nowhere near a favorite, but I wouldn’t mind watching it again. Thanks for stopping by! Oh man. We loved this movie when I was a kid in the ’80s. I doubt it would hold up very well now. I just remember it being very, very silly. The weird thing is that I can still hear the music of the credits in my head. I wonder how many times we watched it on VHS. I’m guessing it was a lot. I doubt that it would hold up to close scrutiny, but I imagine it would still be a lot of fun combined with some nostalgia. It is very silly, but fun silly.